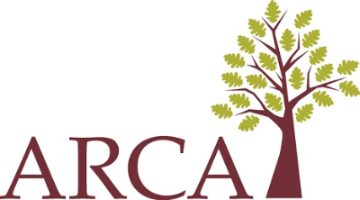 The Lanterman Coalition, which includes ARCA, is calling advocates from around the state to Sacramento on Thursday, September 3rd! This will be a major action, and our last opportunity to let our voices be heard in Sacramento before the Legislature leaves town for the year on September 11. This even will include videos, speakers, a march, a rally, and self-guided legislative visits. You don’t want to miss it! On Thursday September 3rd, starting at 10am at the Crest Theater (1013 K Street), you’ll get to see inspirational, historical, and compelling videos – including clips fromWe’re Here To Speak For Justice. You’ll also get to hear from multiple speakers who know a lot about our system, including some who have been involved since the passage of the Lanterman Act. Doors open at 9:30am, and representatives from the Sacramento County Registrar of Voters will be on-site to register alleligible Californians to vote! There will be accessible (demo) voting booths, too. Then, just before noon, we’ll all march to – and around – the Capitol, making our voices and our presence known to a Legislature that still acts like they haven’t seen or heard from us. Yes, some good bills have been introduced. And yes, we’ve heard a lot of supportive words. But until something is voted on, until we see 10% across the board and funding reform, we can’t and we won’t let them think we’ve given up! Afterwards, advocates are encouraged to show up at their representatives’ offices to share why our service system needs 10%+Reform. Will you join us? There’s barely two weeks left before the Legislature ends its work for the year, and likely ends the Special Session. Will you come see the history and the hope of the Lanterman Act at the Crest? Will you raise your voices and be a part of a massive statement of support for our service system? 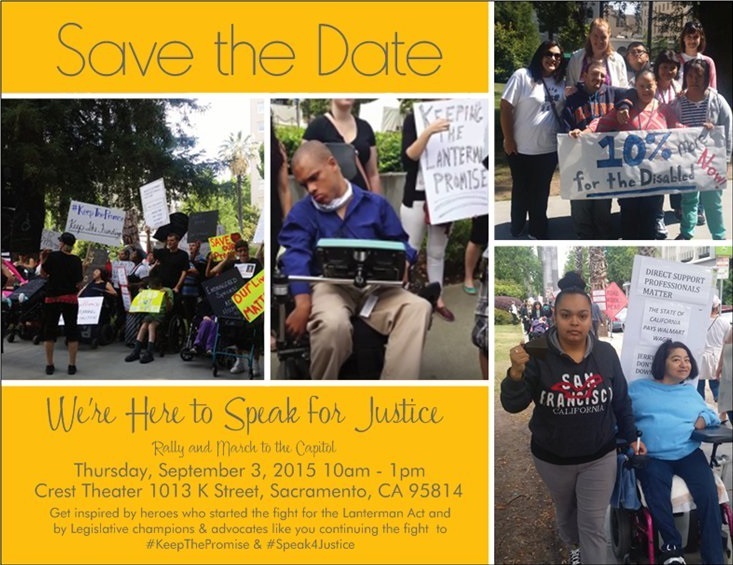 Will you be here to #SpeakForJustice? Then come to Sacramento! We’ll see you next Thursday, September 3rd, at the Crest (10am) and the south side of the Capitol (noon), and remind the Legislature that now is the time to heal our system and restore the promise of the Lanterman Act. advocacy events of the year! * State Capitol public garage – Enter on 10th Street just north of L Street. Credit or cash. $20 max. * 1010 8th St. – Enter on 8th or J St. Credit card only, early bird $10 in by 9am. $20 max. * 980 9th St. – Enter on J St. Credit or cash, early bird $12 in by 9am, $20 max. Flying in? You may wish to try the Hampton Inn & Suites, which has a free airport shuttle. For dining options, check out this restaurant map from the folks at Downtown Grid.